Concrete to Data Installations Begin! 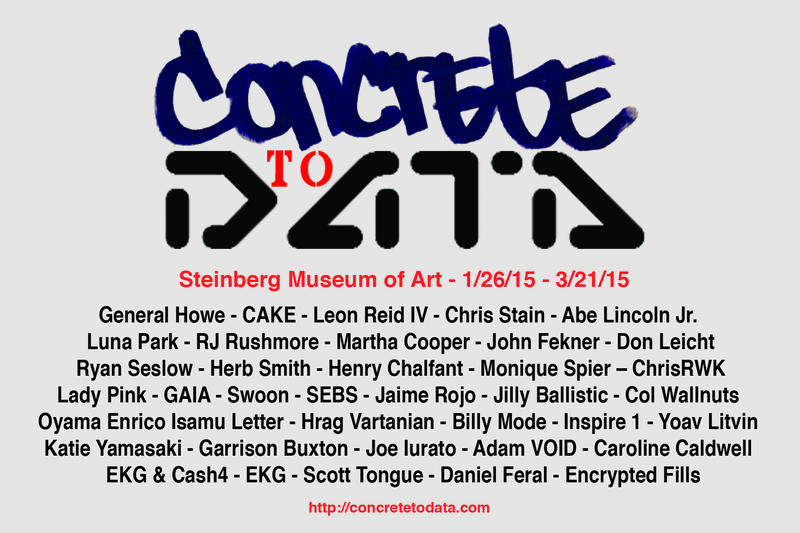 CONCRETE TO DATA is currently underway at The Steinberg Museum of Art in NY. January 26th – March 21st 2015. The emphasis of this exhibition will celebrate the transcending techniques, styles, methods and contexts of generating street art and graffiti. 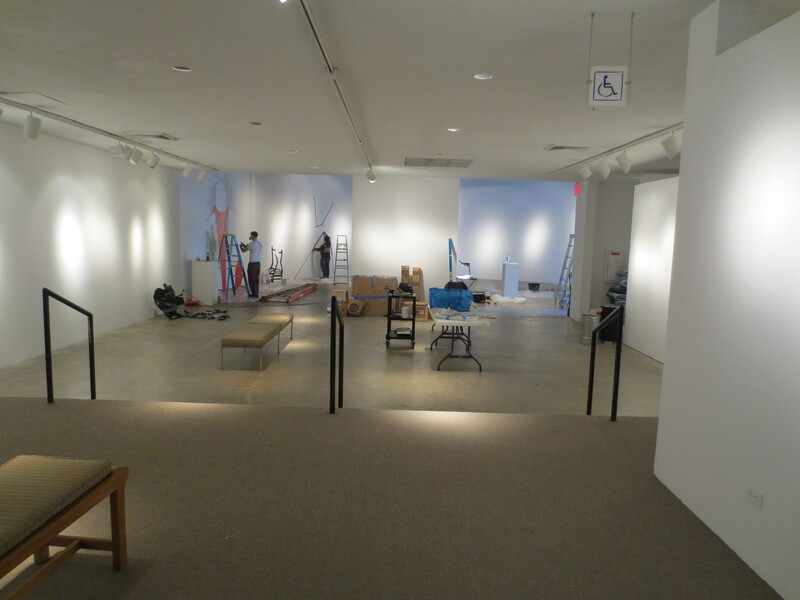 The show will display works from the late 1970’s through today’s new media technologies. 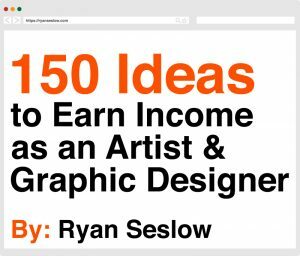 The works will range from ephemeral murals to site specific arrangements and installations. Techniques with aerosol paint, stencils, brush application, paste-ups, assemblage, sculpture, photography, video art, GIF animations, virtual reality, documentation and internet technologies are represented. A collaborative public open call for submissions will also be launched.